Viscometer Tubes are manufactured from crystal clear borosilicate glass true bore capillaries.The design and dimensions of Glass Capillary Viscometer are maintained in strict compliance with IS/BS/ASTM specifications. 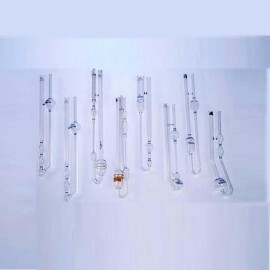 Each Viscometer Tube is individually checked in our own calibration laboratory with required atmosphere and calibrated / certified instruments using certified Cannon oils/liquids.Calibrated Viscometer tubes are regularly used by most of Oil companies, Petrochemical Industries, and other research laboratories. 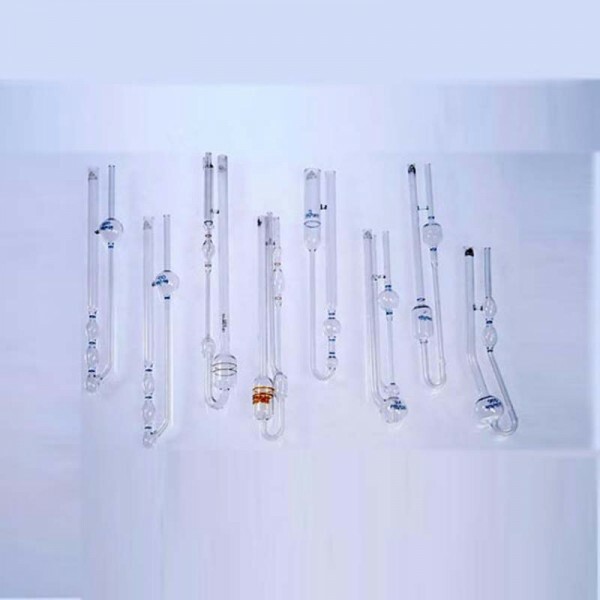 Viscometer Tubes available both certified (at 40oC/100oC or both) in the following types. ‘U’ Tube Direct Flow, Type BS/U. Cannon-Fenske Reverse, Flow for opaque and transparent liquids, ASTM D-446/2515.